A stunning brand new home that is unique, contemporary, well designed and very high spec throughout. The mixed cladding provides beautiful modern textures externally and a point of difference, the wow factor! This home offers all the latest mod-cons throughout boasting both style and comfort without compromising on family living. A beautiful open plan and highly functional kitchen with high end appliances, gas hobs, a butler's pantry and breakfast bar. Separate dining and two lounges, one separate lounge with wood burner and heat transfer and one with outdoor access allowing superb indoor/outdoor flow to the north facing featured deck and entertaining area. Four double bedrooms in total (master with walk in wardrobe and substantial organisers and built in shelving), great storage in all bedrooms. Two luxurious bathrooms (one ensuite) with very high quality furnishings, high quality designs, LED lighting and a feeling of complete relaxation. Plus, a separate third toilet and basin. A very spacious double internal garage, a large separate laundry and all positioned perfectly for the sun, on a 4269 sqm family sized section in the very sought after Braeburn Estate development. Only a short walk to the Mandeville Sports Club, 800 metres to the Mandeville Village with a service station, restaurants, takeaway, preschool, beauty salon, bar and restaurant and approximately a 20 minute drive to Christchurch! 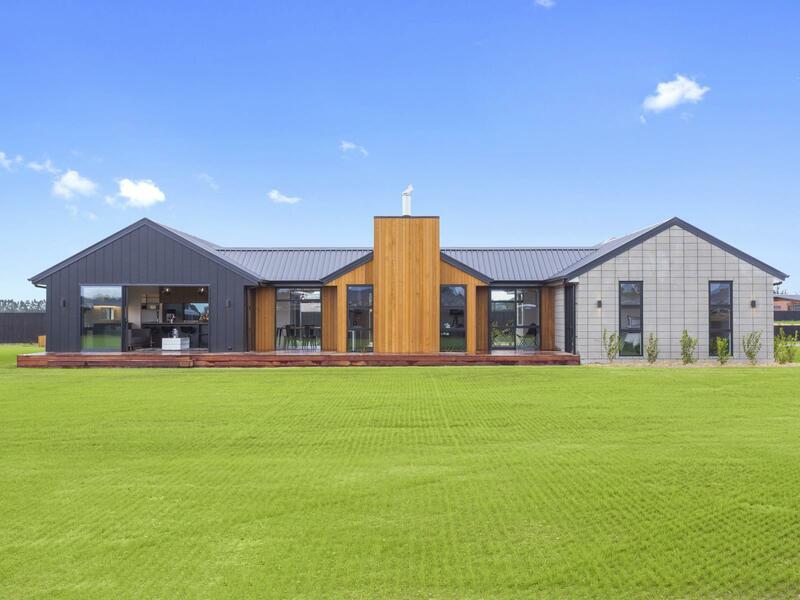 Only 10 minutes from Rangiora or Kaiapoi and all their amenities and within close proximity to both Ohoka and Swannanoa decile 10 primary schools. My Vendors have a reputation for building quality! A high end, high spec build for the purpose of on selling to one lucky family. Contact Brooke today for a viewing, or visit the open homes! Viewing is a must, to appreciate the the warmth, comfort and style this gorgeous home has to offer! Deadline sale: All offers to be presented by 2pm, Tuesday, 30th October (unless sold prior).